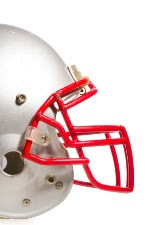 Currently, there is growing concern about brain injuries in football. In recent years, researchers have learned a lot about concussions, but still know little about the effect of repetitive head impacts on brain health. Moreover, nearly 70 percent of football players are younger than high school age; yet, we know the least about this population. In this study, 22 middle school football players were studied during one season using football helmets equipped with impact sensors. The players also performed a series of concussion tests before and after the season. Head impact forces of the middle school players were nearly identical to those commonly seen in high school football. However, the players did not do any worse on their concussion tests after the season. Furthermore, neither the number of impacts nor the force of those impacts affected test performance. Thus, participation in middle school football did not seem to impair these players’ brain function in the time frame of a single season. This entry was posted in AAOS, Articles, Football, Head, Injury, Prevention, Science, Sports, Youth by sportsmedicineweekly. Bookmark the permalink.